The 2014-15 NBA season is over and we’ve already seen previews of the Under Armour Curry 2, but the MVP’s first signature shoe isn’t done quite yet. 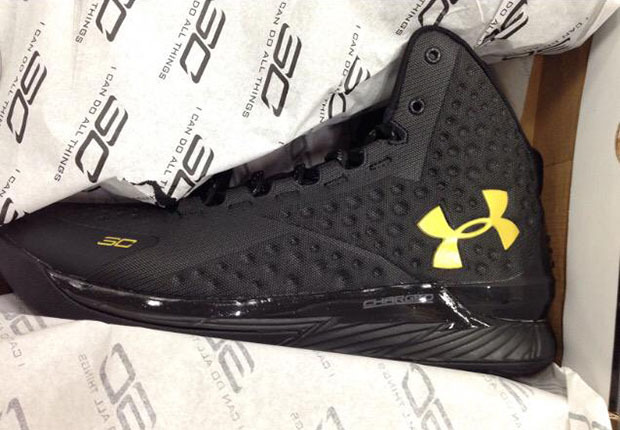 Steph’s shoe goes with a blacked-out look next, featuring a stealthy upper with only the branding in contrasting Golden-State-Warrior-gold. Anybody picking up a Batman feel to these? Be on the lookout for these soon at select Under Armour retailers on the release date of August 7th, and let us know if this is the best Curry One yet.